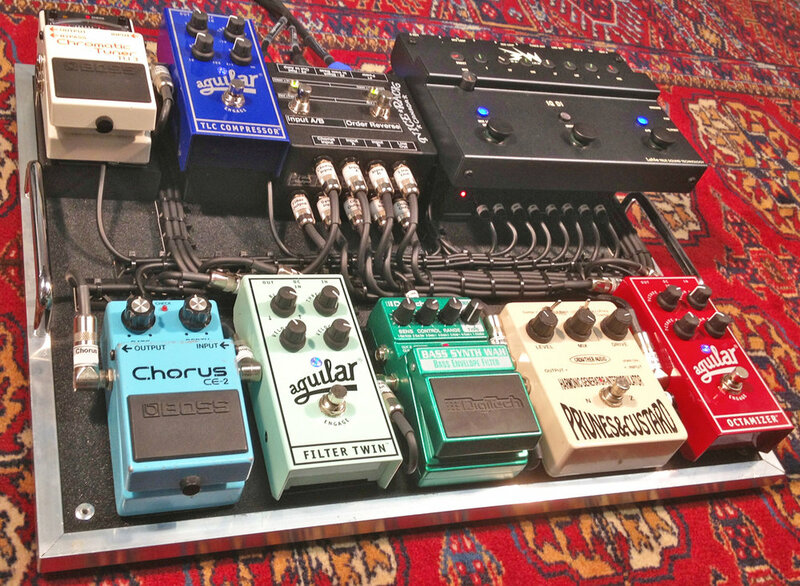 Toronto based sideman bass player to many projects, Rail Koonin recently visited Nice Rack Canad to take his pedalboard to a more professional level. Rail is quite happy with the results and looking forward to putting the rig through it's paces on tour this summer with Autumn Hil. Utilizing all of the functionality of the Ruppert Musical Instrument Basswitch Pre-Amp / DI, we built up a series wired system for Rail. Within the Parallel Mix Effects Loop of the PreAmp, we placed a signal order reversing switch to maximize the tonal possibilities of the Overdrive in conjunction with the Synth & Filter pedals. The Series Effects Loop after the Parallel contains a Aguilar Amplificatio TLC Compressor to "Master" the signal before sending to FOH & Amplifier. System Power by Voodoo La Pedal Power 2+, carefully tucked away under the RMI pre-amp. When you've spent thousands of hours practicing to be the best player you can, do you want your gear to hold you back from achieving your fullest potential? Of course not, so do what the pro's do, call upon Nice Rack Canada to take your gear to the next level. ps, we got a new carpet for the shop, do you like it?